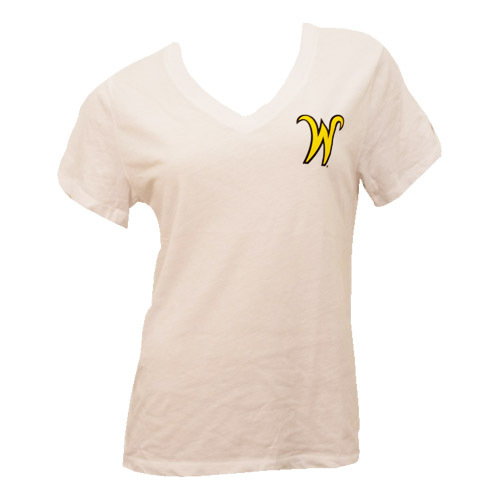 • V-neck t-shirt with the Flying W over the heart. Loose, boyfriend style cut. • 50% polyester, 37.5% cotton, 12.5% rayon. • Made in El Salvador. Please select option for Flying W Boyfriend V-neck T-shirt.